If I had more people who would listen to me, it’s likely that I’d spend a whole lot of my day talking about coffee. I certainly spend enough time drinking of it. I know coffee is always “popular,” but I have a feeling that in the coming years, it’s going to become more of an art, like drinking wine. If you think all coffee tastes the same and just drink it to get as much caffeine into your body as possible as quickly as possible, you likely haven’t been drinking the right coffee. I am so, so thrilled to be getting to know Nespresso and the glorious coffees they offer. 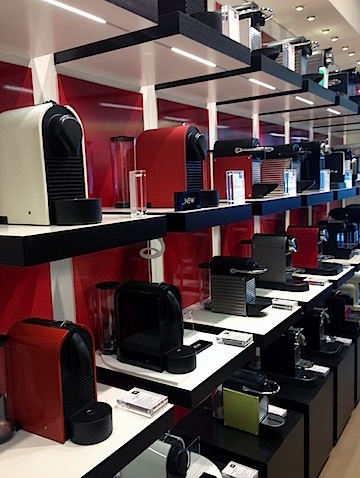 Stay tuned because next week I’m going to be giving away a machine for one lucky reader…. And I can pretty much guarantee it will make your holiday season a whole lot brighter! And more caffeinated, too. 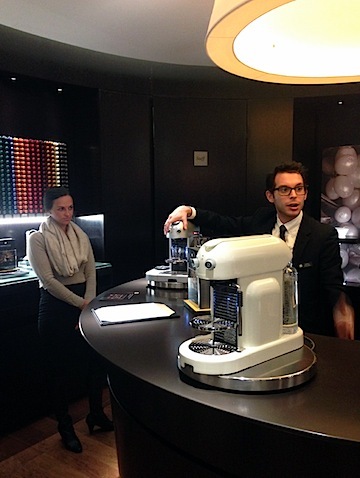 A couple weeks ago, I was invited to a luncheon at the Newbury Street Boston Nespresso boutique location. 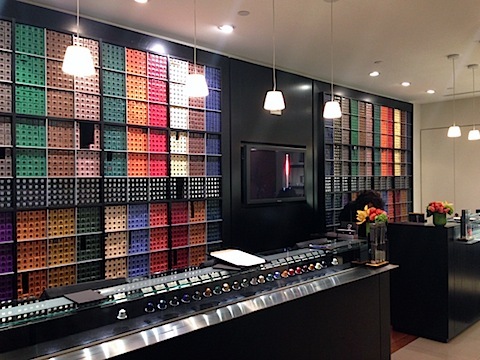 Have you been in a Nespresso store before? I’d walked by the Newbury Street location plenty of times and have swooned over the wall of Grand Crus. The design of this store is just so fabulous. 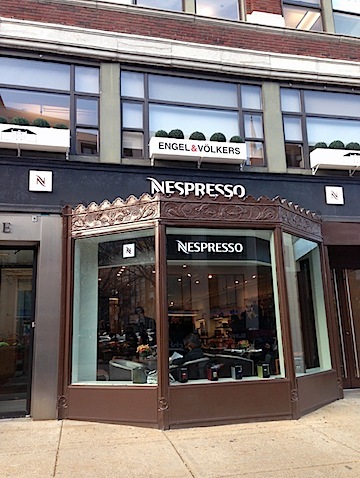 But I had NO idea that the Boston Nespresso store was now a cafe, as well. It’s also a pretty interactive experience. Any question you have about the machines or which of the beautiful models you need the most, the staff can help you out. And show you exactly how the machines work. And let you taste the coffee. You know, the stuff you just can’t get when you shop online. 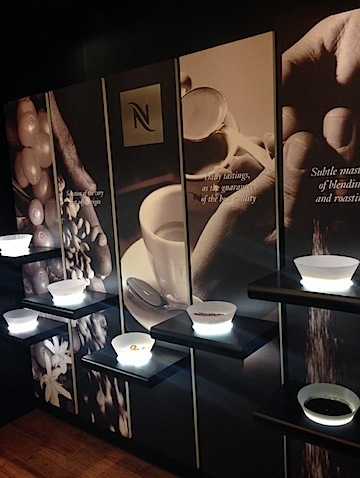 In case you don’t know a lot about Nespresso (I thought I did until I attended this event! ), you should know that despite how ultra professional the machines look, they’re all super easy to use. 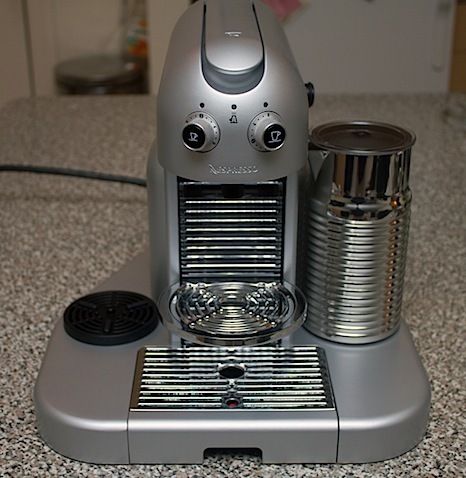 Even my Gran Maestria machine is pretty compact and fits on my apartment’s counter (yes, this is a machine you’ll want to keep out all the time!). The coffee? Nespresso has 16 Grand Crus, with varieties of espresso blends, “pure origin” espressos, lungos, decafs, and special editions. And you should also know that their coffee is sourced from the top 1-2% of the world’s coffee production. Or if you’re like me, you’ll start thinking that since you don’t yet have a house, you may have to eventually design your kitchen around your Nespresso machine. I legit had that thought. And I kind of mean it (already imagining the granite countertop that my machine would look best on!). They come in ALL different price points and according to the staff, they’re all quite similar. So, you don’t fee like you have to spend a lot if you don’t want to… You’ll still get that same quality coffee and ease of use. And a delightful menu of light bites. 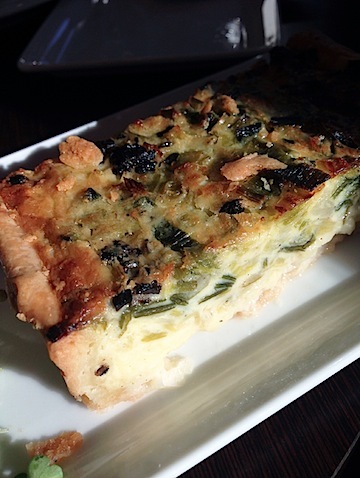 Black truffle and leek quiche? Yes, please. 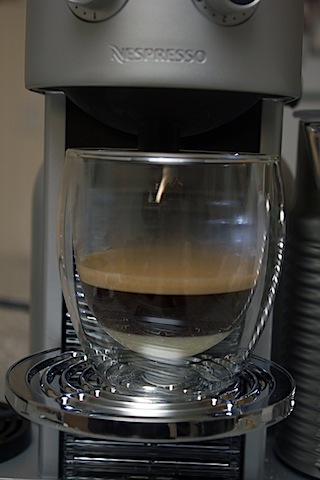 Nespresso was amazingly kind and let me pick out a machine of my own. You have NO idea how thrilled I was as I’ve been swooning after one for quite a while. I can’t wait to give one away to one of you next week, too! I chose the Gran Maestria (in platinum!) because I loved how sleek and professional it looks and couldn’t resist the cup warmer. Also, this machine is SO easy to use. 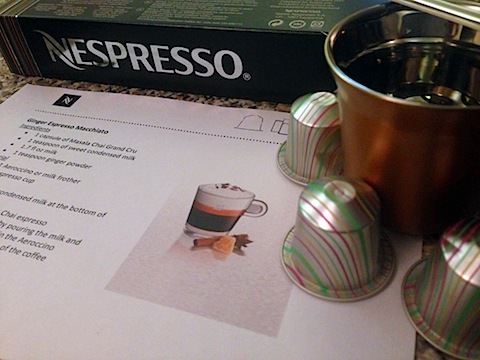 Nespresso also sent me a their new Masala Chai crus (they’re limited edition and were voted on by their club members!) and some super cute little espresso cups. 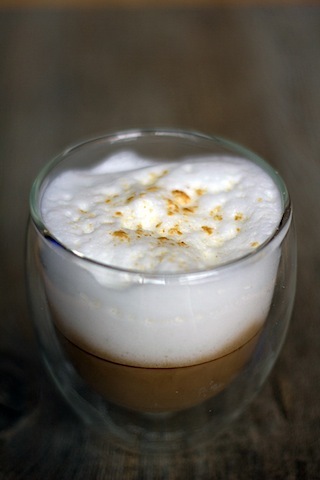 I immediately swooned over the recipe for a Ginger Espresso Macchiato and knew I’d be making it ASAP. To make, I put a teaspoon of sweet condensed milk in the bottom of my cup. And poured a Masala Chai espresso. You can already see the beautiful layers! Then I frothed my milk with a teaspoon of powdered ginger. The built-in aeroccino is also a breeze to use. And done. 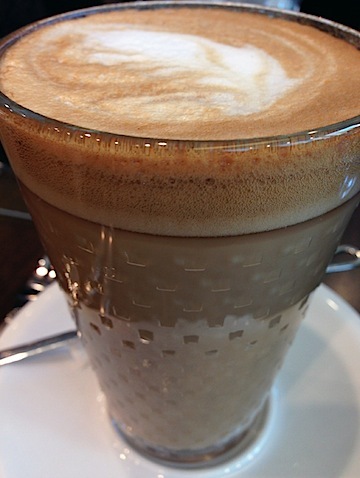 I loved the light ginger notes in this and the extra little sweetness from the condensed milk. Now I have a feeling I’m going to be caffeinated 95% of my day. Which is totally OK with me. Especially at this time of year. But in the summer, it’s going to be a whole lot of fun to go crazy with some iced recipes. If you live in Boston, head over to Newbury Street’s boutique and enjoy the atmosphere. Or check to see if there’s a boutique near you! 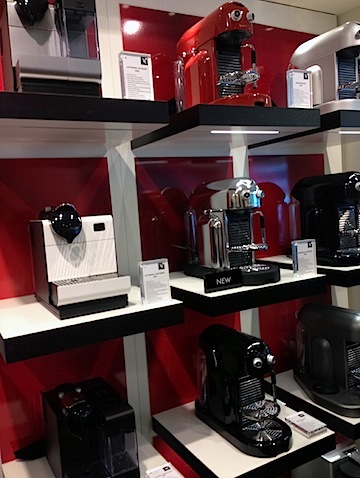 Have you had the opportunity to experience Nespresso? 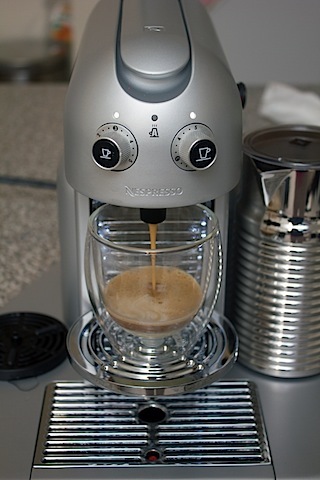 Disclosure: Nespresso invited me to the Boston lunch and sent me a brand new machine. But as always, all opinions are my own and this is a brand I am truly a fan of! 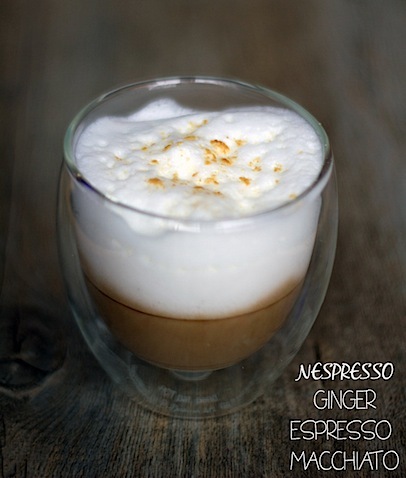 12 Responses to "Ginger Espresso Macchiato and Nespresso Boston Boutique Luncheon"
I’ve actually never tried Nespresso’s products before, but I’ve been hearing some very good things lately. I’ll have to check out their store on Newbury St.! Agree- I adore coffee 🙂 I haven’t tried nespresso- I’m not sure we have any in the Charleston area? I will have to check it out. FOAM! I love Nespresso. I still haven’t been into the store since they added the cafe but need to get over there. 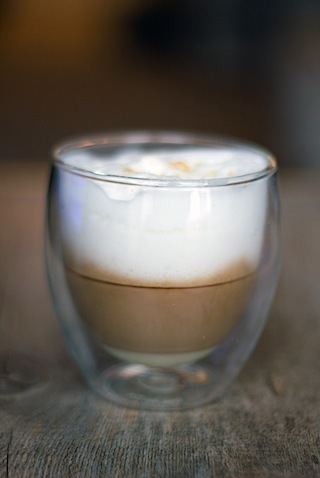 That ginger espresso macchiato sounds right up my alley! I’m loving those clear mugs! Also, no, I’ve never tried Nespresso! Soon, I hope! What a gorgeous looking coffee and machine! My sis in law had a Nespresso and I love going to their place for coffee time! So so in lust with this machine. Do you use it every single day??? I know I would! Awesome store! Great choice of machine. I love how sleek it looks. 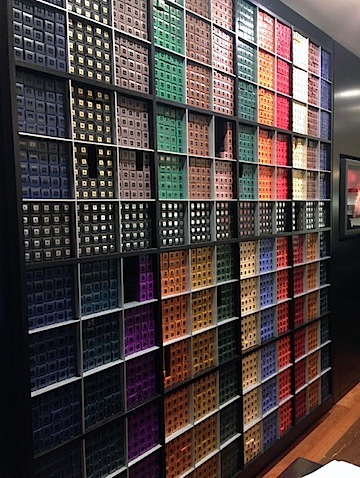 Whenever I am by Sur la Table on 57th St. in NYC I go in to get a free shot of Nespresso. They are always sampling it, so I listen to their pitch just to get the coffee. I absolutely love the taste, it’s so delicious! I want a taste now! 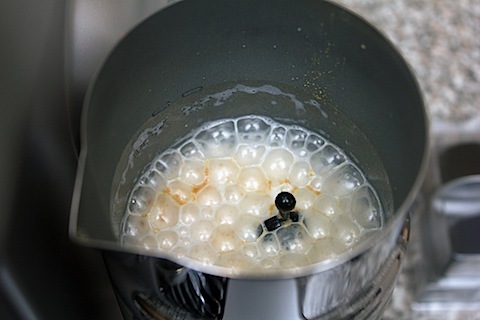 I have never tried it and I love everything about the pics – especially the foam!